Welcome to Johnstone-Music! 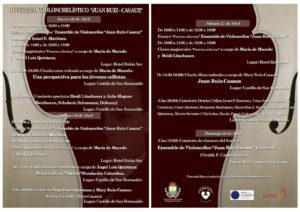 A big Anglo-Spanish web for MUSICIANS and especially CELLISTS – original music scores for orchestral instruments and keyboard. Plus articles, audios, videos, resources, catalogues, news etc. 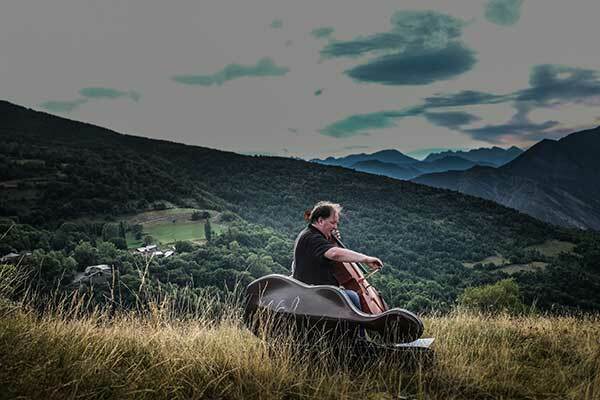 Official web of the professional cellist David Johnstone, principal cello Navarre Symphony Orchestra (Spain), chamber musician and soloist in many premieres. 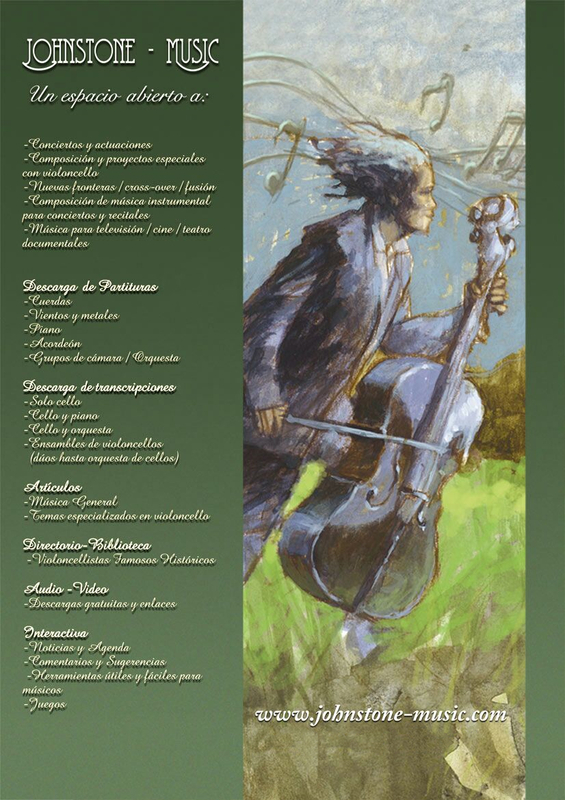 Hundreds of cello arrangements in the web for a symbolic charge of €1.00 per download. Present day music – new classical frontiers and popular music / cross-over / fusion. 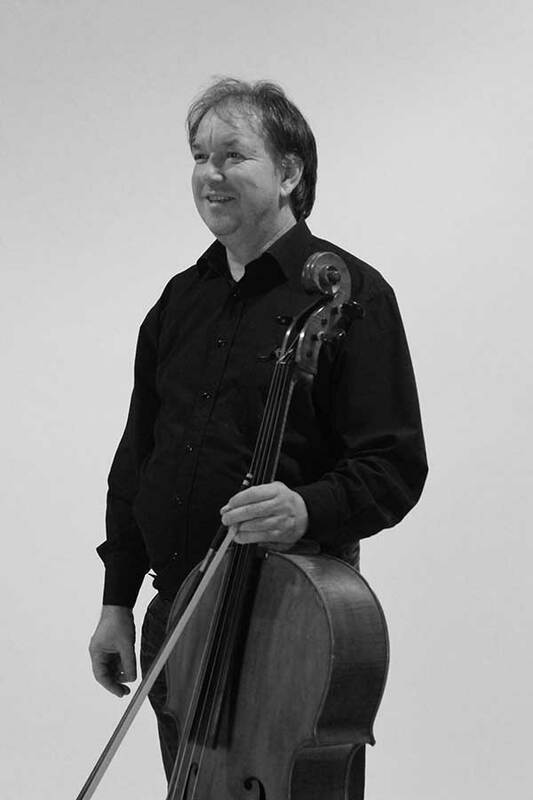 Cellist for recordings in television, cinema, documentaries, theatre and other events. Composing, arranging and special projects with the cello. 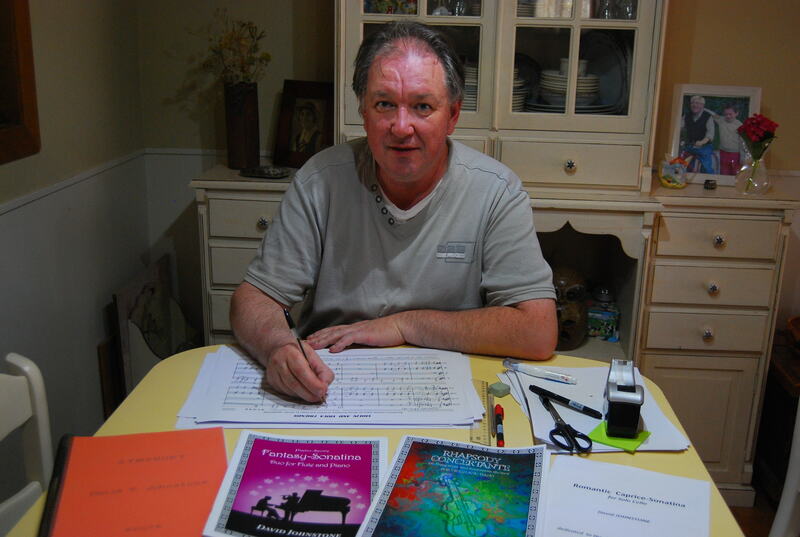 Composition for other instruments – music for recitals and concerts. 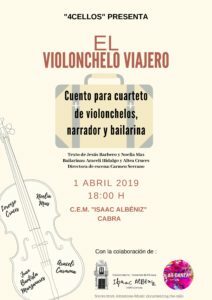 David Johnstone is invited by the Escola i Conservatori de Música de la Diputació a Tarragona (Catalunya) to give special classes for cellists in Tarragona, open to conservatoire students. 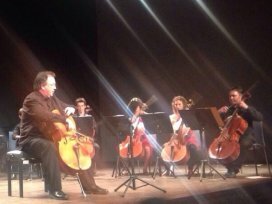 David Johnstone plays virtuoso and melodic music as invited soloist with the Tarragona Violoncels Ensemble, directed by Rodolfo Zanni. 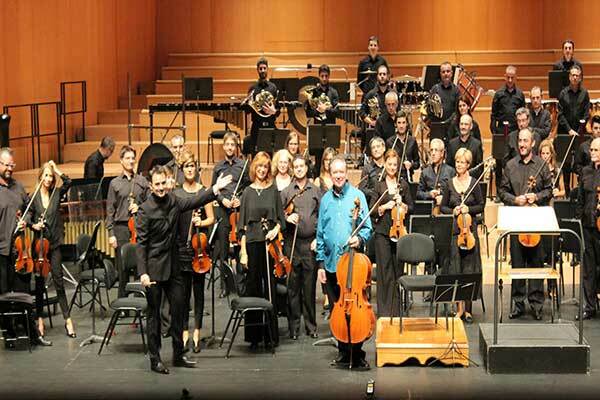 Johnstone will play his own arrangements of soloist cello repertoire (including David Popper and Rimsky-Korsakov) accompanied by Tarragona's cello orchestra. 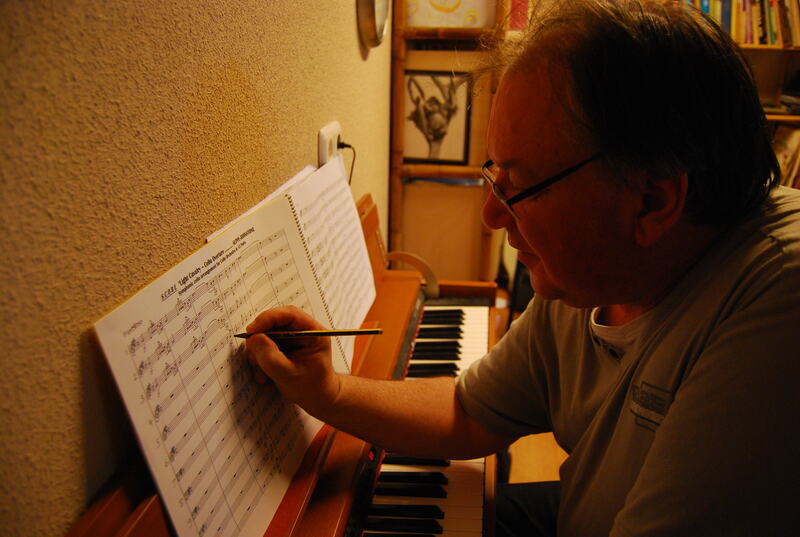 David Johnstone re-discovers a personal early work for Flute and Cello! We are pleased for you to have a copy of these articles, which you may read, print or save on your computer. You are free to make any number of additional photocopies, for Johnstone-Music seeks no direct financial gain whatsoever from these articles (and neither too the writers with their generous contributions); however, the name of THE AUTHOR must be clearly attributed if any document is reproduced.If you feel like sending any (hopefully favourable!) comment about this, or indeed about the Johnstone-Music web in general, simply visit the ‘Contact’ section of the site and leave a message with the details - we will be delighted to hear from you! These articles and interviews are from distinguished musicians. Here they will reveal their secrets, especially with regard to the performers in which they have been inspired, influencing in their style and good work, thus helping their followers to understand their renowned prestigious achievements. These are presentations in more-or-less 1000 words, and can be downloaded directly. We are pleased for you to have a copy of these articles, which you may read, print or save on your computer. You are free to make any number of additional photocopies, for Johnstone-Music seeks no direct financial gain whatsoever from these articles (and neither too the writers with their generous contributions); however, the name of Johnstone-Music must be clearly attributed if any document is reproduced. If you feel like sending any (hopefully favourable!) comment visit the ‘Contact’ section of the site and leave a message with the details - we will be delighted to hear from you! Throughout history a number of interesting books have been published on the Cello – its origins, the performers, the makers/luthiers, and the repertoire. However, when reference is made to cellists they are almost always classified and organized according to national music ‘schools’. There has always been a necessity to see a real list of those contemporary cellists in each era in chronological form, with details of professional positions or activities, and this is exactly what Johnstone-Music offers with this unique presentation. 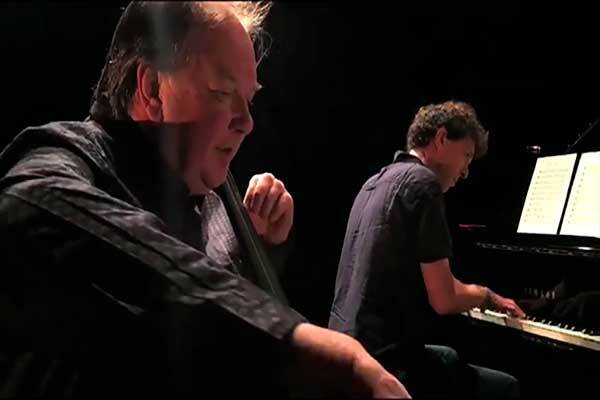 Here you can find many recordings - recent and old - of performances of David Johnstone with his cello. This section includes the original Works of Johnstone. This section includes all kinds of arrangements and transcriptions.